Love the Bold colors. Great Job with this one! Another perfect creation, Erum! LOve that deep navy panel you've created... and this color combo has quickly become a favorite of mine! As always, another beautiful card. Thanks for sharing. 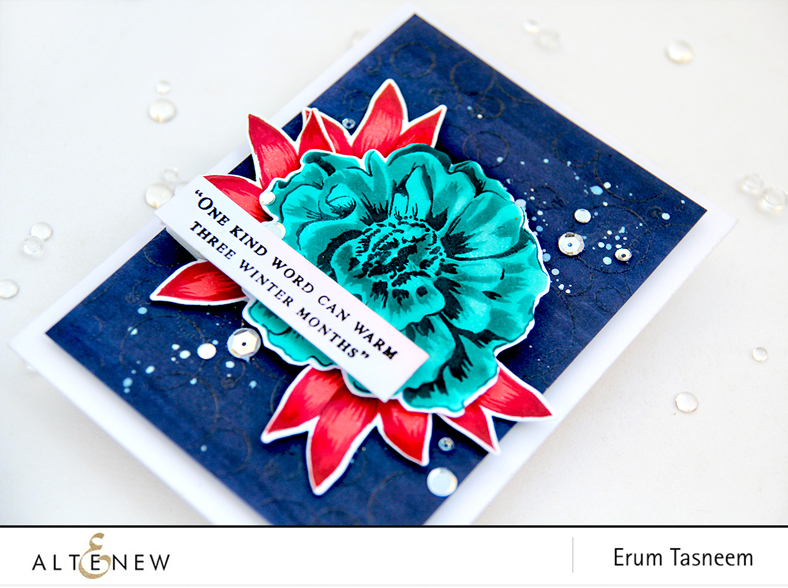 Beautiful card, Erum! I love the bold colors you've used! Very vivid card! So pretty. Another gorgeous card...loved the dark tones,they are so beautiful and a different take...thnks again for inspiring me!! Wow! The color combo is simply stunning! Love this card! Erum, love your colour choices, so vibrant and fun! So many of us take the safe route, me included! Your Camellia flower really pops off the page! Love the background so much.. your colouring choice for this card is unique..
Gorgeous card. The colors work so well together. I FREAKING love it, Erum!!! It’s so bold and vibrant!! Absolutely stunning card. The colors are interesting and work well. Thank you for the inspiration! Outstanding colors. It really catches the eye. Oh! I love those color choices! Bold and vibrant. Lovely card. I love all of your cards. each one is a work of art. Love those colours! What an interesting background. I didn't notice the details at first, but am so glad I read what you did and then looked closer! Thank you. Erum, this is absolutely fabulous! I love the bright, bold colors. Love the drama of these deep colors and stamps! Erum, this card is so richly colorful--just so full of life. Thanks for sharing your card and your video tutorial. I especially enjoyed seeing how created the background setting for your flower. I love that beautiful camellia bloom! Lovely card! your card has an awesome colors!! So striking Erum - love those colors they just pop! This card is very vivid and bold! Love it!! I really love your choice of colors, especially the background color. It really pops everything. such an eclectic color combo - just wonderful!! This is so stunning!! The colors are amazing!! Absolutely gorgeous!! WOW - the BOLD and the BEAUTIFUL!!!!!!!!!!!!!! WOW WOW WOW!!!!!!!!! The BOLD and the BEAUTIFUL! LOVE LOVE LOVE those colours! WOW WOW WOW!!!!!!!!!!!!!! The BOLD and the BEAUTIFUL!!! LOVE LOVE LOVE those colours! I love seeing all of your ideas for cards and these Build a Flower cards are amazing! You really have talent! I love the way your colors speak of both winter and warmth. Lovely! Such a striking card. Love the bold color. Love the Camellia in the blue-teal color and the vibrancy of your card. Gorgeous! How different your card is from what I have seen so far on the hop. Such deep, vibrant, bold colors. What an amazing color combo! I love it. What a vibrant color combination! 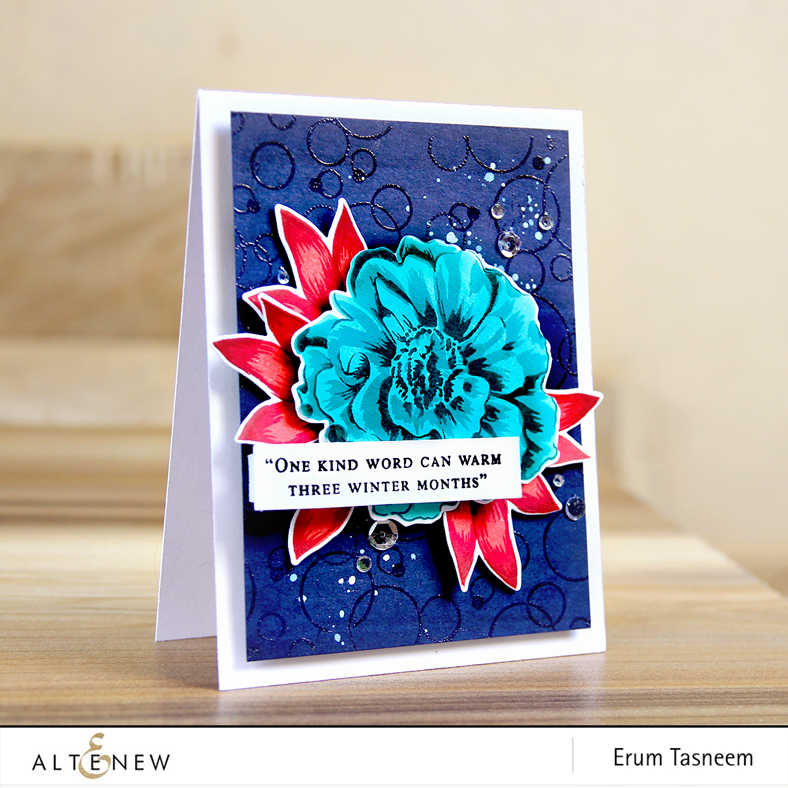 The stamped background is a lovely touch to highlight this rich flower. I really loved your card with your vibrant and unexpected color choices. It made for such an interesting card with high impact. Lovely card! 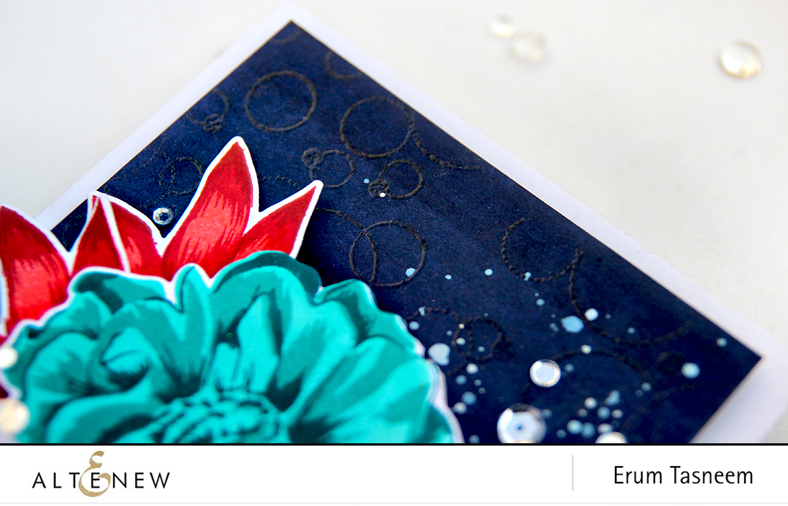 I love the background you created and the vibrant colors of your card! 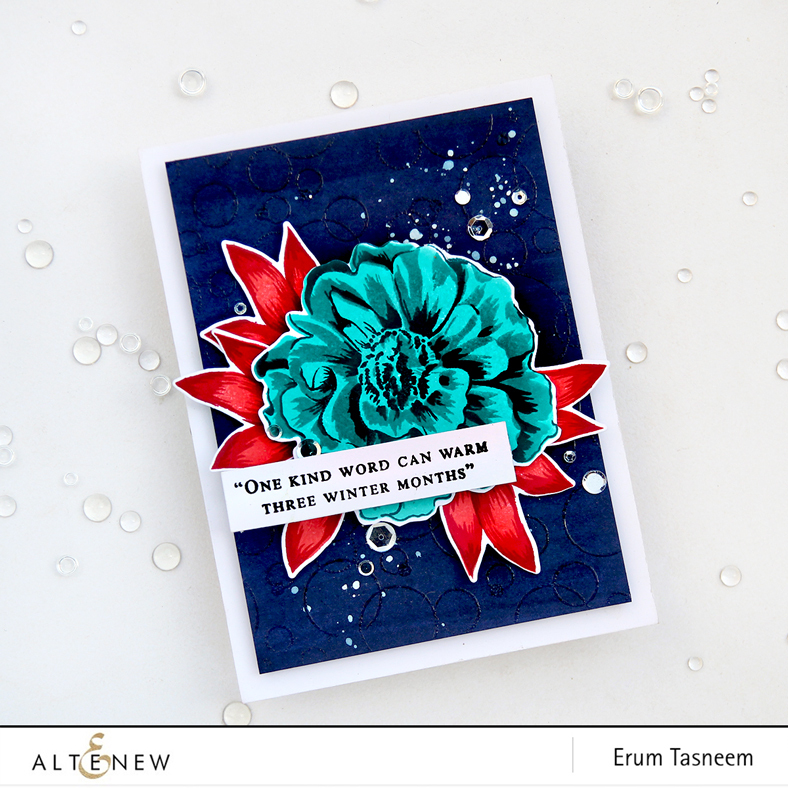 Such an amazing card and color combination, Erum. I totally love the way you have created the background for the flowers. It's beautiful! Love the bold colors you used on your card. It really stands out from the pastels most designers chose. Thanks for sharing. Beautiful and wonderfully vibrant card! The background techniques add so much and compliment the focal point. The bright bold colors are striking! 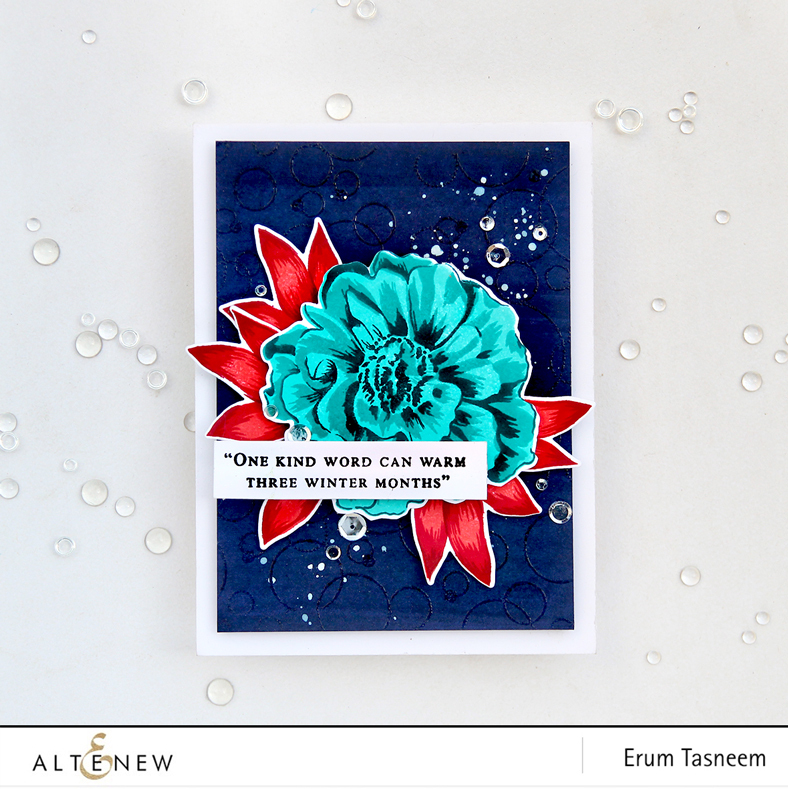 Beautiful colour for your flower and leaves and I love the background you made for it, a very showy card. Always love your creations! And love when you do a video too. Wow! Now that is one standout card. Color combo... amazing! The dark background really lets the flower pop. So pretty. Just adore that background and your creativity!!! Bold, bright, beautiful = best! Very vibrant card. Just beautiful. Thank you so much for sharing. Your card is amazing. The gorgeous saturated colors are perfect. I just love the unexpected combination of colors that truly work harmoniously. Your card is so inspiring I want to drop everything and create something. 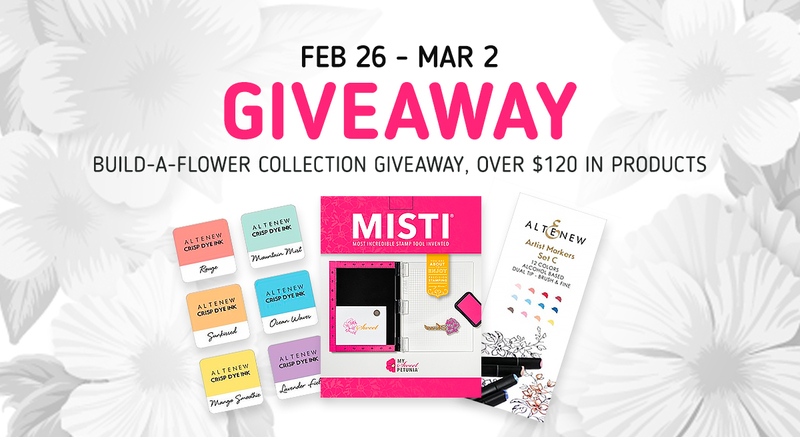 It's great to see a celebration of flowers with 21 days until spring. Thanks! Fabulous red, white and blue design. Cool bold colors! I like the sentiment. I don't think I would have ever thought to use those colors together, but it works. It really works and looks amazing! I love your bold colors. Beautiful card. Incredible colors! Love your background and the splatters! Beautiful card! I love your color choice for the flower, those blues are gorgeous! The background is fantastic too! I love the circles embossed over the background, what a great idea! Thanks for the inspiration! Love the bold colors. Beautiful stamp set. I always love your cards and this one is no exception. This is the first time I saw one of your videos! Great job. I like the vibrant colors and the embossed background. A stunning card! Love your bold color choices, the background you created, and the composition. I like the colors you chose for your beautiful card. Love the camellia card. The color combination is an unusual one, but effective with this card. Love those bold colors. Totally pops out at you. Very creative! Love this set. I just bought the Build a rose...missed the entry time but im trying to squeeze the gardenia set out of my hubby,lol. I always say "ok this is the last thing for awhile" and theres always something else i want! A must have. Like the gardenia....im foaming at the mouth for it! Lol. 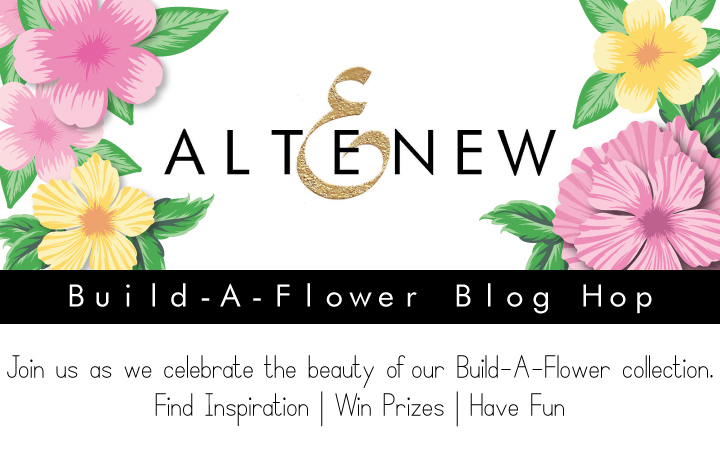 Live altenews build a flower sets! Stunning colors and breathtakingly beautiful card. Love the beautiful bold colors you used! Such a stunning card! Beautiful card! So bold. Thanks for sharing! I'm crazy about your background piece. Thanks for the bright card. Love the bold colors. Your card is beautiful. So striking, Erum!! Your showy flower really pops against that midnight blue BG. Super card. Beautiful card, love the vibrant colors and the dark blue background with the clear embossed circles. Wow! Very bold color choices! I love it! As lovely and beautiful as always!!! I love your creativity!!! You make the flowers lively!!! Erum, my mouth hit the floor when I seen your card! The color combination is so creative and just takes your breath away! It's amazing how different a stamp set looks when done in an unusual color combination! Absolutely gorgeous, lady, wow! Such a wow card! I love how bright and vivid the colors are! If someone was to describe this card to me and told me the colors that you used I would have thought that it would be a train wreck BUT looking at it makes my heart sing! The trio of bold colors really seem to work together! Awesome background and your flower is a delight! TFS! What a striking color combination. That's something I never would have thought of, but it works! I especially like the vivid colors with the sentiment; it looks kind of like your camellia is cold, but getting warmed up! 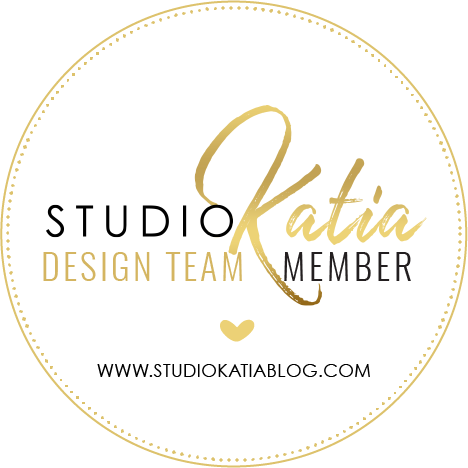 Thanks for sharing and participating in this bloghop! I love your use of intense color! 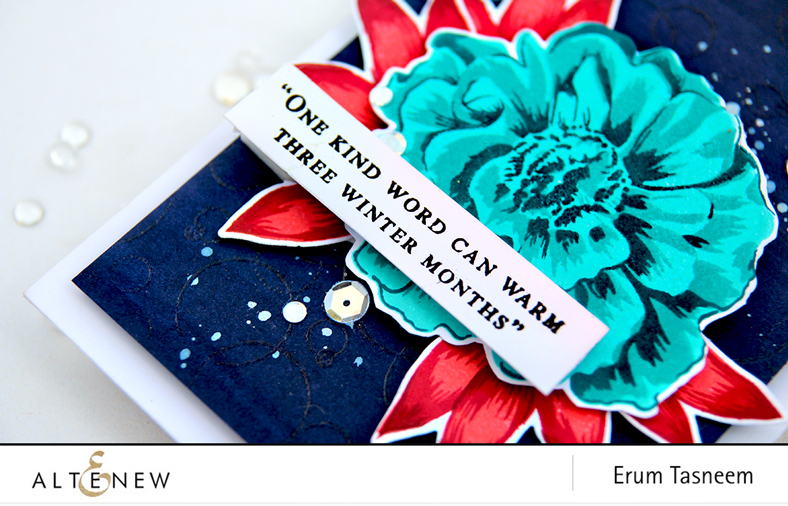 Erum, you always create beautiful cards. Love your bold colors! This reminds me of pop art! Awesome card! I like your rich and vibrant card. The Pattern Play circles adds depth and interest to your background. And then the wonderful flower and leaves brings our eyes to the sentiment. your color scheme is so unique and beautiful!! LOVE it!! What a bold and beautiful card! I would never have done your background with that color flower but I like that you did it. That background is different and I see that you embossed it with circles. That's cool. I even like the splatters. I learned to do that in my art class in high school back in the 70's. Glad to see it's making a come back. I also love the sequins you used. You used just the right amount of them. The color of the flower is pretty too. I love the sentiment! Thank you for showing us your pretty card and for giving us the chance to win something. I loved how vibrant your card is! It makes it look so real like it is going to jump off the page!